The following steps will demonstrate how to remove a domain once the hosting is no longer required. Note - this process will delete all content hosted in the webspace and all emails / mailboxes. Double check to ensure you definitely no longer require any of this before following these steps. 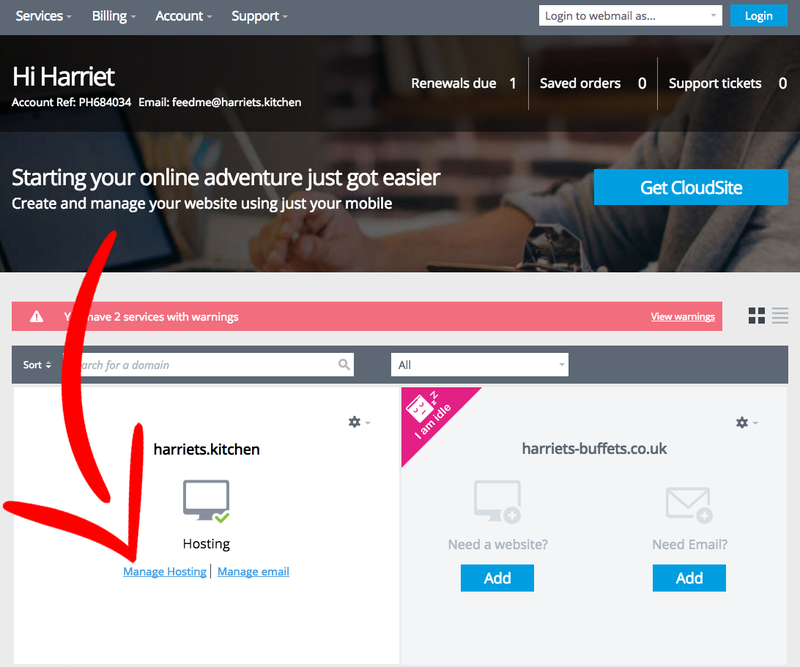 Once you are logged into the Control Panel click on the Manage Hosting link beneath the domain. 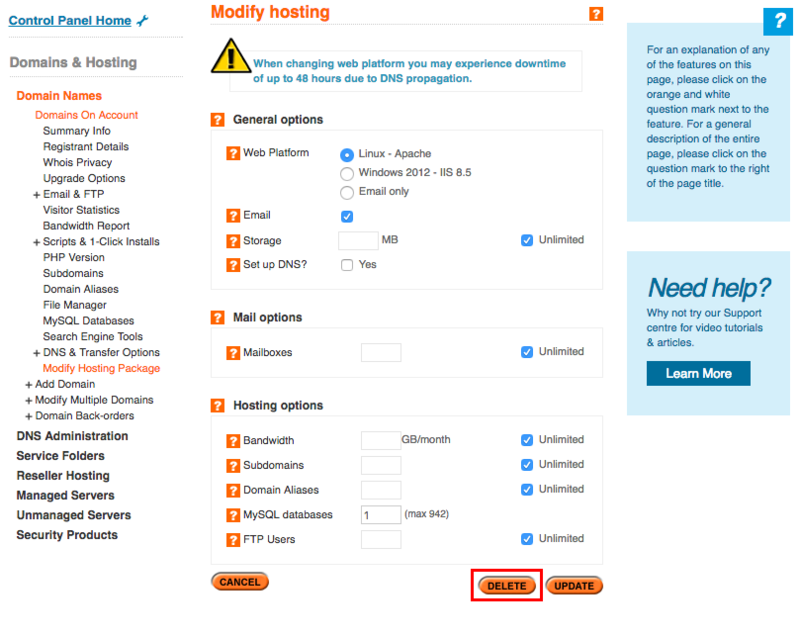 On the following page, beneath the hosting configuration form, select Delete. You will see a confirmation page asking you if you are sure you wish to proceed. If you are then click on Delete. Note - remember that this will remove ALL website and email content associated with this domain. Note - if the domain you are deleting is also registered with us then the domain will remain in your account but revert to a parked status. If the domain is not registered with us then it will be removed from your account entirely.